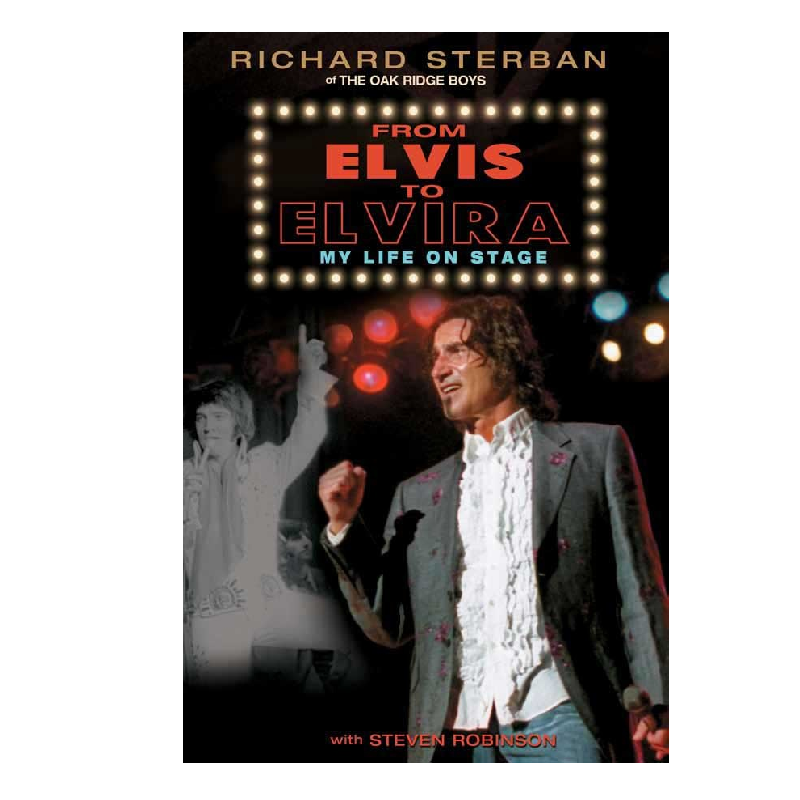 Richard Sterban's book, From Elvis To Elvira. Release date August 1, 2012. —Spend a day behind the walls of Graceland as Elvis hosts friends for an unforgettable experience that ends speeding through the streets of Memphis! —Hear the encouragement offered by the Man in Black, Johnny Cash, and experience the heartbreak surrounding the death of his beloved wife, June. —Sit at the control board and experience the recording process of a great song and watch as it becomes a worldwide hit. 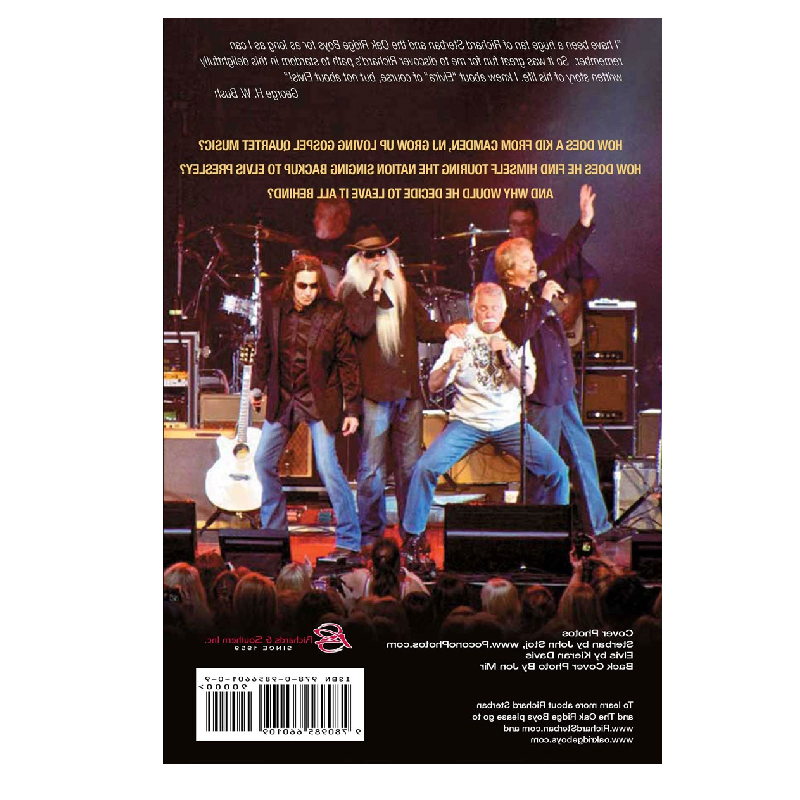 —Learn never-before-heard, behind-the-scenes details of the Oak Ridge Boys through their unparalleled successes, their devastating split, and their triumphant reunion. —Witness the bravery and showmanship of legends as varied as Sammy Davis Jr., Glen Campbell and Roy Clark. 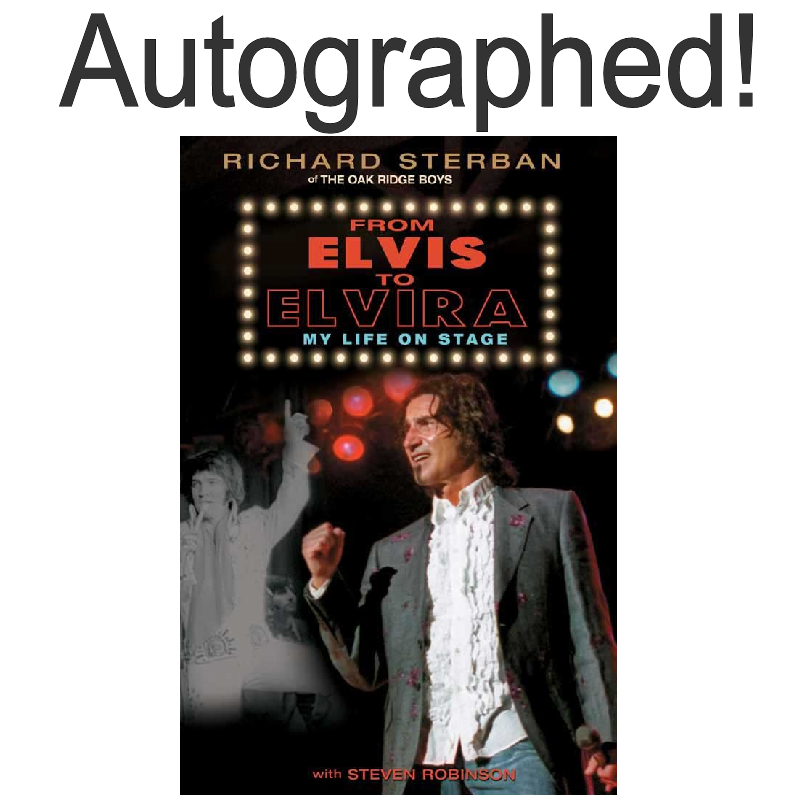 —Hear the never-before-told details of the last time Richard and Elvis were together, in 1975, and what Elvis asked him. —What is the one song Richard wishes the Oaks had never sung? —Take a memorable look inside Air Force One, the White House and private times spent with four presidents of the United States. —Listen in as Elvis rehearses for concert appearances, recording sessions and for his Golden Globe winning documentary. —Who is considered the fifth Oak Ridge Boy? Fans have heard him sing, and probably never knew it! —Ronald Reagan was known as the “Great Communicator.” Which Oak Ridge Boy does Richard consider the best communicator? —Which Oak Ridge Boy does Richard think is the best singer? —Watch a young Garth Brooks transform overnight into the showman that changed the face of country music. —Read about the record producer who nearly ruined the singing career of his most famous bass singer, and the regimens the singer has practiced to overcome lifelong vocal challenges.